Streetwear is at the central underpinning of the current sartorial environment specifically for men. As contentious as this trend may be, it is in fact prevalent and inescapable. There are always levels and varying degrees when it concerns what is popular in clothing. Never is a trend a mandate to be followed completely, but rather a strong suggestion that can be selectively integrated into a sense of style preemptively mustered by an individual. Since sporty chic is the name of the game, why not dabble a little, if only a little. Working within the structure of this landscape, make your sportiness a bit more sophisticated. You are dapper men after all. Take note from the new prince of sporty chic, John Elliot. Understated cool, comfort and effortlessness underline the all grey looks that came down his Fall/Winter 2016 runway. Style Advice: Now that we’ve locked in the inspiration, let us get down to business and execute. To serve as an equitable foundation, this coat in charcoal grey is your throw on for a pair of tapered trousers and quality Massimo Dutti textured smart gym sweats alike. Underneath keep the lines clean and simple with a flatlock knit sweater from the affordable beacon of basics: Cos. To keep in the spirit of casual cool with smart detailing – of which is instrumental in achieving the high-end sporty look – go for these light grey drawstring trousers, also from Cos. No streetwear influenced ensemble would be adequately replete without a good pair of sneaks. 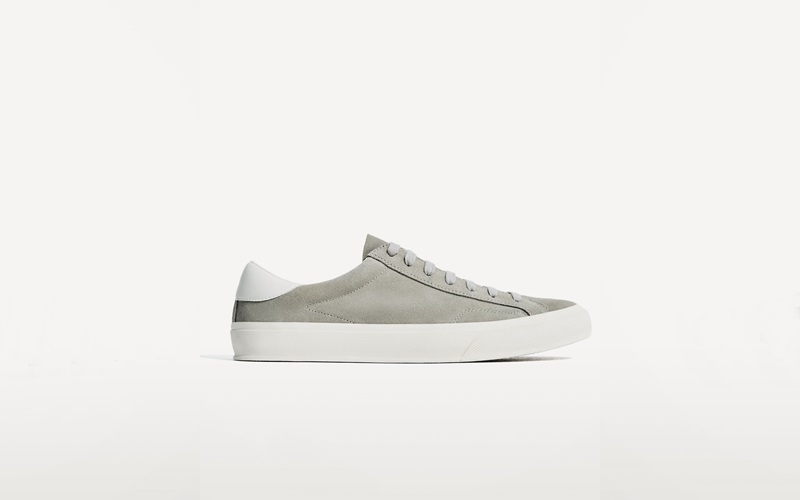 Grey soft leather plimsolls from Zara will help you properly cover all your bases. 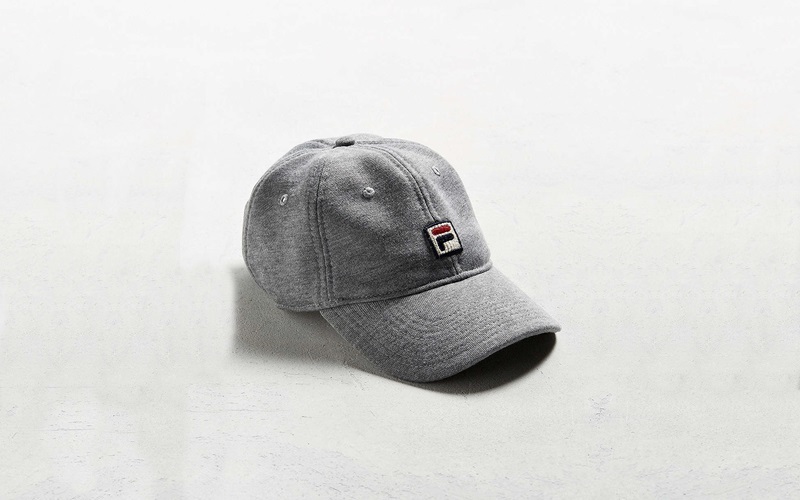 To keep it interesting, and hold on to your cool points, throw on this FILA cap from Urban Outfitters. The finished product is equal parts ready to take a weekend lunch meeting, or shoot some hoops at a rich friend’s private basketball court. We must be prepared for high level situations after all! Must-Have: Accessories are to a well assembled ensemble what a period is to a coherent sentence. It is an essential part of a superior whole. For anyone who is on the fence about embracing the prevalent sporty/streetwear trend, a good sport watch could very well be the most comfortable segue. 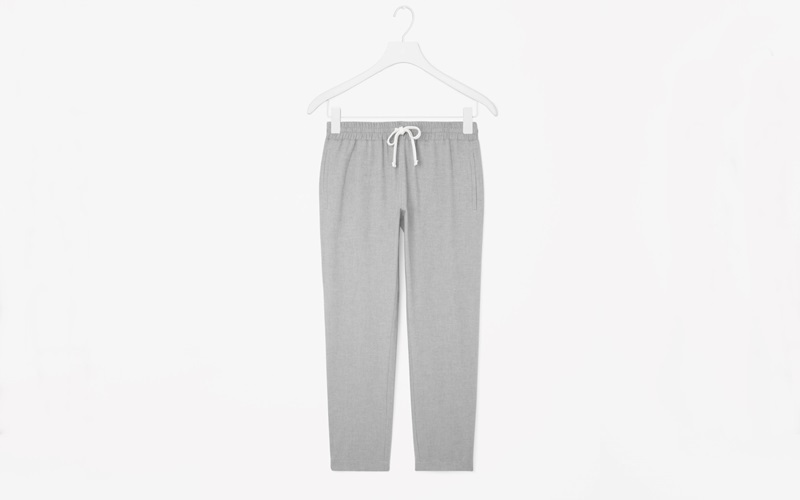 This versatile item dresses down an office look, while elevating the donning of a track suit with athletic sneakers. Moreover, for the sake of a meticulously curated wardrobe, if you don’t already own one then hop to it! There are solid establishment pieces that can be found at Fossil, like this blue silicone number. For your first export in the sport watch game the less you spend, while still securing great quality, the better. 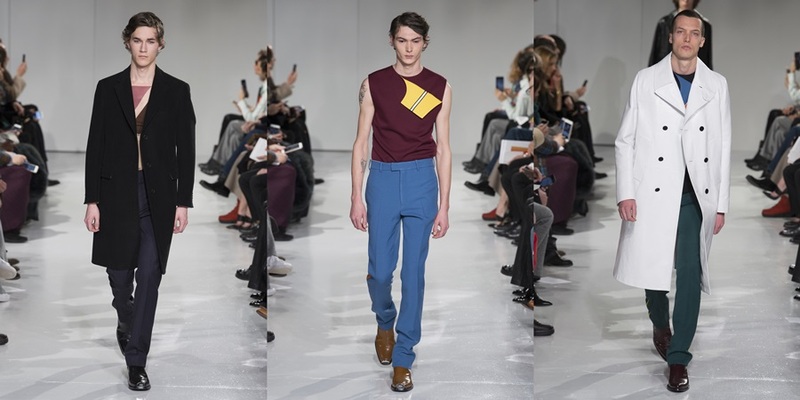 Industry Update: Raf Simons’ debut at Calvin Klein looks like a case of the creative director with the off-beat style aesthetic who infiltrates some well-known brand and designs clothes that are true to his or her artistic point of view. As it concerns Simons, this was unlike what he did during his tenure at Jil Sander and then Dior, where he visually reserved the heritage of each respective entity. What this ingenious craftsman understands more than anything is the importance of reverence in design sensibility. Taking on the task of preserving a storied fashion house and simultaneously refreshing it is not a small order. For someone like Simons with an impressive and well-respected CV, this is certainly not uncharted territories. His approach to Calvin is less a static retaining of a familiar design aesthetic, and more a novel take on the roots in which this brand has built its empire. Calvin Klein’s clothing has tight roots in Americanism. Classic, no frills, slightly loose fitting, and well-made clothing. With the latter as the law of the label’s design model, Simons had room to play as opposed to sticking to the stringency of a beloved brand aesthetic. The visceral effect of the collection is one that critics, consumers and onlookers will respond well to. Whether Simons’s aesthetic take on Calvin Klein’s historic Americanism can have the same impact as Hedi Slimane’s Rock N Roll polish at YSL is not easy to portend. Given the former’s reputed track record, such a feat would not be surprising. NAACP Image Awards: After the snooze fest of the Golden Globes red carpet on the male front, the soft rug that was rolled out at the 2017 NAACP Image Awards revived the finest display of men dressing for a special occasion. Delving into the honorable mentions, each gent presented himself in a manner that had disseminated appeal, but was idiosyncratic to each man’s personhood. The latter is the most important tenet of style. It was Jay Ellis’s exploration of visible blue hues, over the banality of navy as a pseudo pop of color. Then you have the confident regality slicked onto Milo Ventimiglia’s shawl lapel and cleanly all-black ensemble. There was elegant defiance in Lance Gross’s textured peak lapel blazer with a tie-less black shirt underneath. Lastly, the oddly placed buttons on Stephan James’s suit jacket, coupled with the X on the left collar of his crisp white shirt highlights the minute details that can refresh a look and make it just that much more noteworthy. In all, the man who rose above the rest was the ever-dashing Kofi Soriboe of OWN’s Queen Sugar fame. His play on the traditional black tie frock was exactly what we needed to see on a red carpet. The burgundy hue of his blazer, his daring inclusion of the cummerbund, the slightly cropped pants, beautifully shaped patent leather oxfords, and the aloofness of the sunglasses (an item I normally detest) were spot on. His confidence was effortless and the perfect accessory to top it all off. This affair not only championed inclusion and diversity in visual media, but it reinvigorated the keen importance of sartorial presentation for men. Maybe this will influence the forthcoming biggest award show of the season. Stay tuned!